Fitness junkies and nature aficionados, you’re about to hear some pretty devastating news. 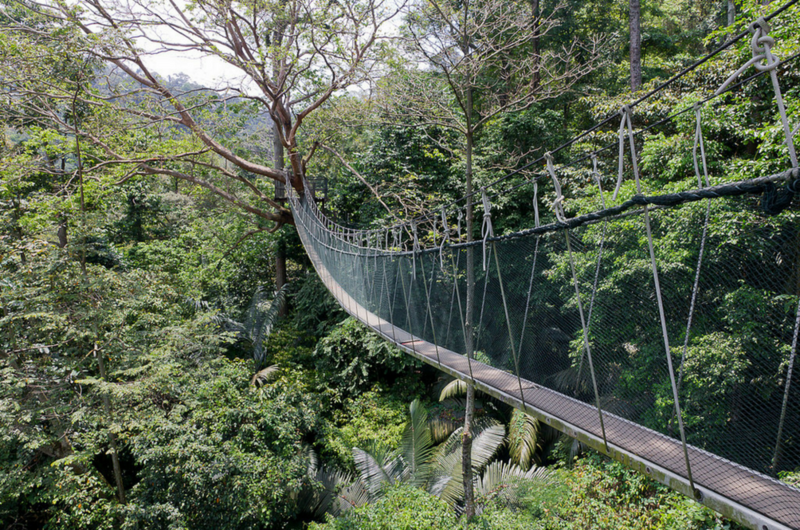 If you’re staying in Klang Valley and often visit one of the greatest gems nature has bestowed us in the midst of the bustling city, the Forest Research Institute Malaysia (FRIM) Canopy Walk, well, you can no longer do so – forever. The canopy walk has been closed off for good. A few months ago, news of the closure emerged on various news outlets. The announcement came after FRIM made the decision to restore the popular canopy walkway as well as to help the damaged trees recover and regenerate. It is said that FRIM plans to build a new walkway, double the length of the current one, which will take about three to five years to complete. However, according to the latest statement from Tourism Malaysia, it looks like the canopy walkway will be closed off permanently after considering the public’s safety, reviewing the canopy bridge’s structures and the health of the trees. Two years ago, in October 2015, the walkway was severely damaged due to a thunderstorm and was closed for a year for repair works. “Therefore, it is with a heavy heart that FRIM decides to close it once and for all for public safety as well as to allow the supporting trees to heal and the surrounding forest to regenerate” FRIM said in a statement. We’ll surely miss the beauty of the canopy walk; the green, lush trees; the money-can’t-buy breath of fresh air, and the stunning botanical gardens. It was absolutely one of the perfect escapes within the city. So, where shall we go next since our favourite nature walk has been closed indefinitely? Do you have any places in the Klang Valley you frequent to for recreational activities or to exercise? Share your suggestions in the comments section below.